This view of Salt Lake City’s magnificent skyline and the towering Wasatch Front looks east from this vantage point. Temple Square is visible amid the skyscrapers. Photo taken by Garrett Smith (05/09/12). Salt Lake City is the capital of the state of Utah. The largest city in the Beehive state, Salt Lake City had a population of 186,440 as of the 2010 Census and sits at an elevation of 4,226 feet above sea level. The Wasatch Front provides a scenic backdrop along the east side of the city while the brackish waters of Great Salt Lake, the largest lake west of the Mississippi River, spread to the west and north from the city. Salt Lake City was founded by Mormon pioneers on July 24, 1847; settlement of the area followed soon thereafter. Center to the city is Temple Square, which is home to the Salt Lake Temple for the Church of Jesus Christ of Latter Day Saints. This temple was among the first LDS (Mormon) temples to be built; it was dedicated on April 6, 1893. 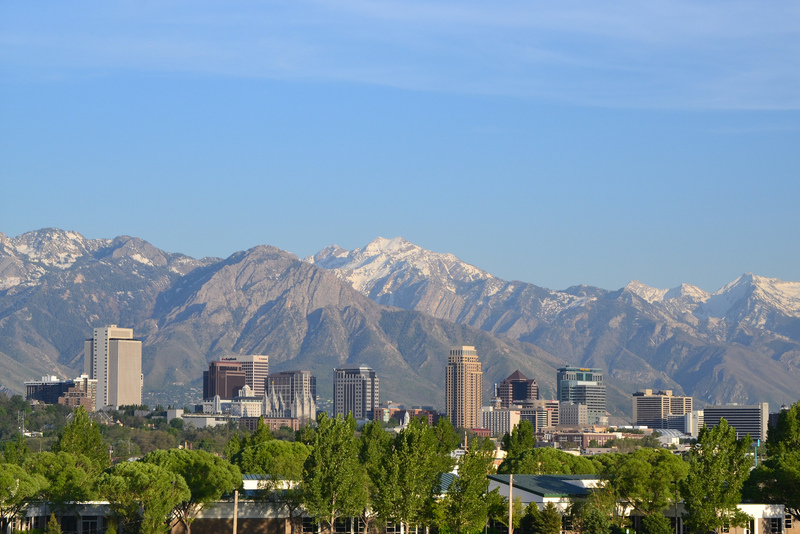 In addition to its Mormon heritage, Salt Lake City is notable for its position at the crossroads of Interstate 15 and Interstate 80 and for its leadership in the growing communities along the Wasatch Front. The South Davis Operational Upgrades added Express Lanes in both directions of I-15 from Interstate 215 (milepost 313) to U.S. 89 (milepost 340) in Farmington. Work also replaced overpasses and reconfigured interchanges at 2600 South and 500 South in Bountiful. The $131.38 million project ran from September 2013 to September 2015. South of Salt Lake City, between Lehi and Draper, the Point Project greatly expands Interstate 15 with 12 to 13 overall lanes between Utah 284 (Timpanogos Highway) and Exit 291 (12300 South). Work also reconstructed the 4600 South interchange in Bluffdale and added ramps meters throughout the project area. Major work started in March 2015 and continues through fall 2016. Through the Salt Lake City metropolitan area, Interstate 15 varies between eight and 13 overall lanes with High Occupancy Toll (HO/T) lanes. The HO/T lanes are separated from the general travel lanes by painted medians. Toll rates are displayed on overhead signs posted at ingress points for the Express Lanes. Prior to August 23, 2010, the HO/T lanes used a sticker program, where drivers of single occupant vehicles paid a $50 monthly fee to use the lanes. This changed then to electronic tolling using congestion pricing, where rates vary depending upon traffic flow.5 Initially the I-15 Express Lanes consisted of four zones. Expansions of the system takes the HO/T lanes north to Layton Parkway and south to Spanish Fork and 400 South across a total of seven zones. Interstate 15 largely replaced U.S. 91, which was the major north-south highway in the state of Utah. The freeway generally follows U.S. 91 from the bottom to the top of Utah, although the two routes deviate north of Brigham City. I-15 also replaced portions of U.S. 50 Alternate from Scipio north to Salt Lake City and U.S. 89 between Spanish Fork and Brigham City. Interstate 80 is a major east-west freeway that originates in San Francisco and extends east to near New York City. A transcontinental route, Interstate 80 is notable for the extensive truck traffic that utilizes its route. I-80 enters the state from Nevada near Wendover and proceeds east across the Great Salt Lake Desert through to Tooele Valley. The freeway skirts the southern edge of the Great Salt Lake between Burmester and Saltair Beach, including a narrow strip of land around the northern slopes of the Oquirrh Mountains. I-80 turns east between the lake and a large tailing pond to enter the Salt Lake City metropolitan area en route to Salt Lake City International Airport (SLC) and Interstate 15 outside Downtown. Interstates 15 & 80 merge for 3.31 miles to South Salt Lake, then separate as Interstate 80 proceeds east across the Wasatch Range through Parleys Canyon. The remainder of I-80 in Utah traverses mountainous terrain as the freeway turns northeast from near Park City to Coalville, Echo Canyon and Evanston, Wyoming. Commonly referred to as the Belt Route, Interstate 215 is a 270-degree beltway that begins at Interstate 15 in North Salt Lake City, travels west to meet Utah 67/Legacy parkway, then turns south to parallel Interstate 15 to the west. Interstate 215 provides a connection to Salt Lake City International Airport (SLC). Once at Taylorsville, I-215 turns east to again meet I-15 and continue toward Cottonwood Heights. Geography forces Interstate 215 to turn north again (due to the presence of the mighty Wasatch Front), and the freeway travels north along the foothills until ending at Interstate 80 and Utah 186 in a sprawling interchange. The southeastern quadrant of the Salt Lake City Belt Route, between I-15 at Murray and I-80 by Parleys Canyon, was originally designated as Interstate 415. This included a short signed segment of I-415 between I-15 and 300 East. The Utah State Department of Highways renumbered all of the Belt Route as Interstate 215. It was approved by AASHTO in 1969. 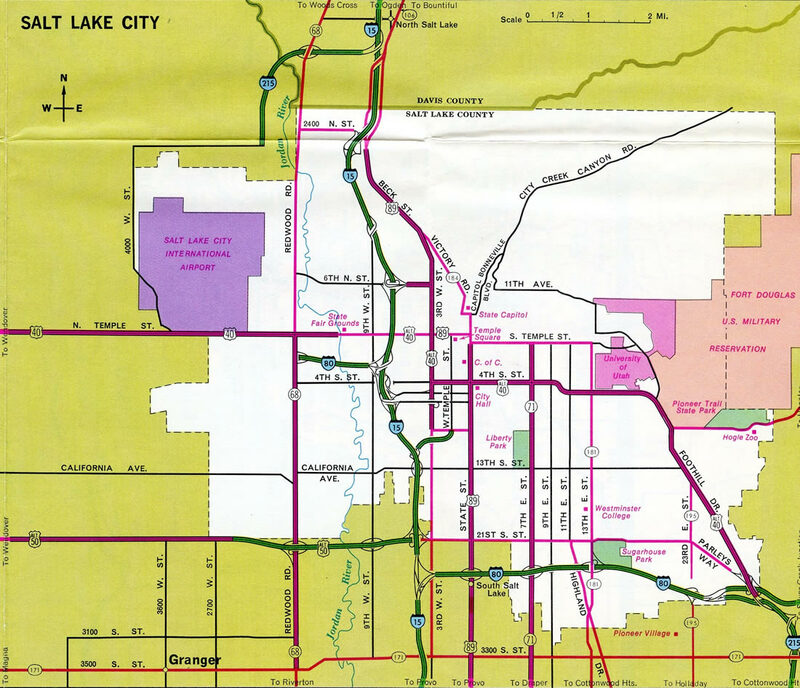 Interstate 215 was open between Utah 68 (Exit 13) and 300 East (Exit 12) in 1976.10 Community opposition due to environmental impacts and polution concerns delayed the remainder of the southeast quadrant east from there to Wasatch Boulevard. Following lawsuits and a new Environmental Impact Statement, construction finally resumed and Interstate 215 was finally completed in 1989, when the southeastern loop opened between Exit 6 (6200 South) and Exit 3 (3300 South). Many U.S. highways were eliminated from Salt Lake City in a series of legislative actions. 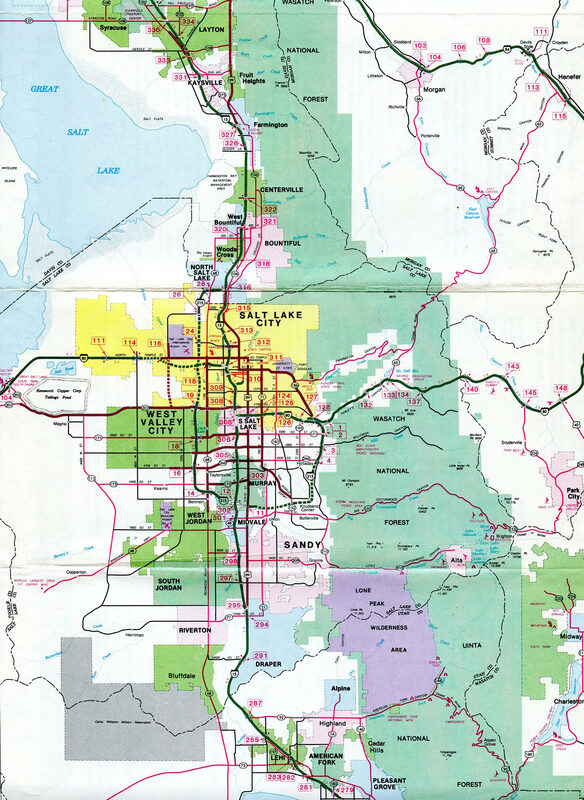 One such route that was retracted was U.S. 40, which used to serve Salt Lake City directly but today does not begin until leaving Interstate 80 at Silver Creek Junction near Park City. A legislative action on August 24, 1974, deleted U.S. 40 in Utah from Wendover east to Silver Creek Junction in favor of Interstate 80. 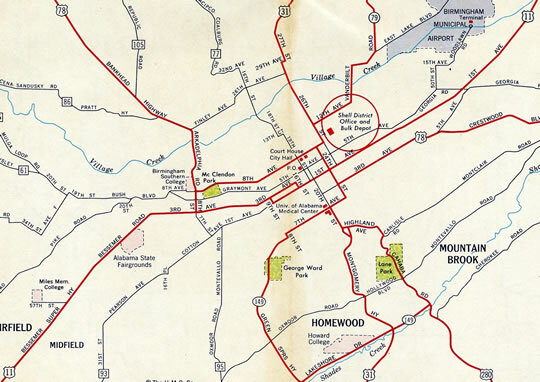 A second state resolution clarified the remaining route of U.S. 40 east of Silver Creek Junction (as adopted on May 20, 1977). Today, U.S. 40 begins at Silver Creek Junction and proceeds southeast, connecting Interstate 80 to Park City, Heber City, and Vernal before leaving the state near Dinosaur National Monument. In Salt Lake City, the old alignment of U.S. 40 can generally be traced along Utah 186. The only surviving U.S. highway remaining in Salt Lake City is U.S. 89, which enters the city from the south via State Street. Nearing downtown, U.S. 89 shifts onto westbound 400 South briefly, then continues north on 300 West. This route was previously designated on a shared alignment with U.S. 91, but U.S. 91 no longer travels this far south. U.S. 89 generally parallels Interstate 15 and is even subsumed by the Interstate a few times both north and south of Salt Lake City. 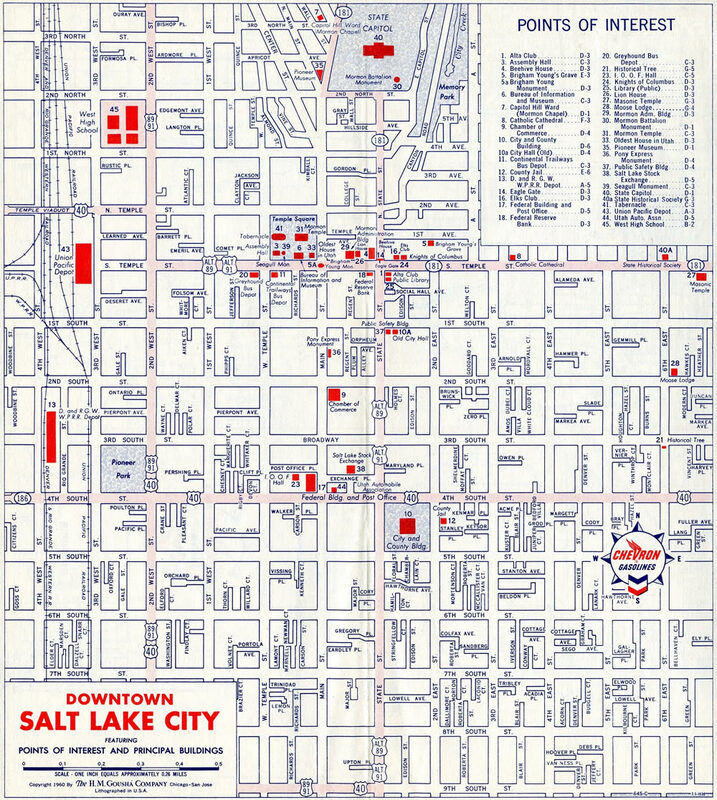 Historically U.S. 89 and 91 bypassed Downtown Salt Lake City along a combination of 900 South, from State Street west to 200 West, and 200 West along side U.S. 40 north to Temple Street. 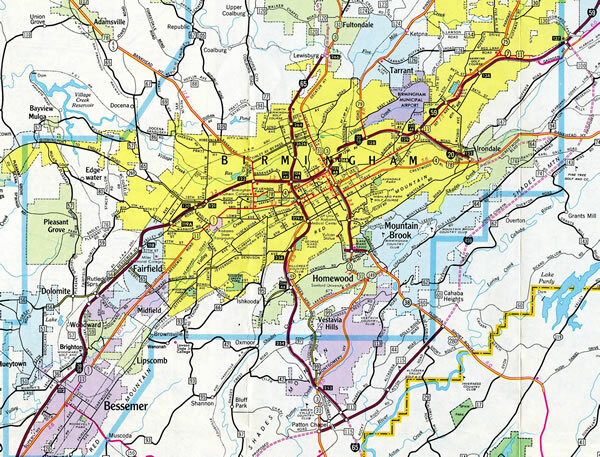 U.S. 89A & 91A provided a signed route to Downtown along State Street north and Temple Street west. 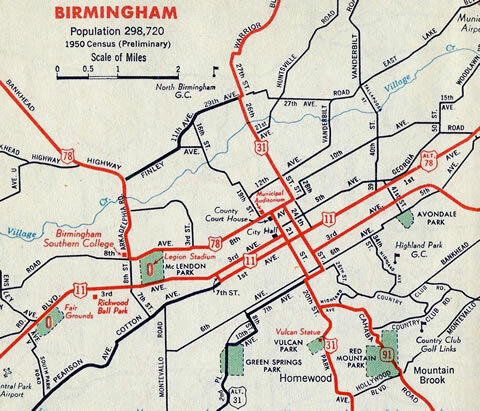 These routes were decommissioned in the mid 1960s. Although not located in Salt Lake City proper, Utah 67 is a regionally significant state highway that helps north-south traffic between Ogden and Salt Lake City. Utah 67 is the 11.5-mile Legacy Parkway, a limited access highway that connects the northwestern corner of Interstate 215 in southern Davis County with Interstate 15 and U.S. 89 in Farmington. The freeway, which was built with environmentally sensitive methods, opened to traffic on September 13, 2008, with a 55-mile per hour speed limit, truck restrictions, greenways, wetlands and preserved areas, decorative design features including unique bridge designs, meandering parkway lanes (not built in a straight line as is typical for most freeways), and a trail network complete with trailheads/parking areas at parkway interchanges. The Legacy Parkway is part of the proposed Legacy Highway, which is a much longer corridor along the Wasatch Front that is ultimately planned to extend from Nephi and Provo in the south with Ogden to the north. A second section of the Legacy Highway project is the Utah 85/Mountain View Corridor in Utah and Salt Lake Counties. An initial segment of Utah 85 opened in September 2011 between Interstate 15 and Utah 68 (Redwood Road) as 2100 North. A second segment opened on June 2, 2012, between 12600 South and Rosecrest Drive/14400 South. Both sections consisted of divided highway, with space allocated for the ultimate freeway configuration. The first phase of the Mountain View Corridor was completed on December 15, 2012, when a section of Utah 85 between Old Bingham Highway and 5400 South opened to preexisting segments to the south and north. Costing $730 million, the initial 15 miles extended north from 16000 South at Bluffdale and 5400 South (Utah 173) in southwestern West Valley City.13 Completed at that time were the future frontage roads of Utah 85 north to Utah 209, and a varying set of carriageways shifting between the eventual freeway mainline and associated on and off-ramps through to Utah 173. The overpasses at 6200 South, 7800 South and 9000 South among other interchanges will be built later. Utah 201 is a major east-west state highway that generally follows 2100 South between Interstate 80 near Magna and Interstates 15-80 and U.S. 89 (State Street) in Salt Lake City. The portion of Utah 201 east of 7200 West is a limited access freeway corridor. Utah 201 replaced Alternate U.S. 50, when it was decomissioned in 1976. “I-15 Reconstruction; Groundbreaking: No-Shovel Ceremony; Ceremony Will Launch I-15 Rebuilding.” Salt Lake Tribune, The (UT), April 15, 1997. “I-15 Ready To Rumble – Freeway opens 6 a.m. Monday; Freeway Should Clear Traffic Delays.” Salt Lake Tribune, The (UT), May 13, 2001. “Two major road projects ready to roll.” Salt Lake Tribune, The (UT), December 17, 2012. “Utah’s electronic payment system goes live on I-15.” Deseret News, August 23, 2010. “Reconstruction Beginning on I-80 East From the Mouth of Parleys Canyon.” Salt Lake Tribune, The (UT), March 2, 1999. “I-80 Eastbound Will Close For Year-Plus, I-215 to I-15 ; Diversion to N. Temple, I-215 starts tonight at 10.” Salt Lake Tribune, The (UT), April 10, 1998. “New I-15 Exit Lets Motorists Ease Onto I-80 – New I-15 Exit Is Smoother, Comes Sooner.” Salt Lake Tribune, The (UT), July 27, 1999. “I-80 construction in Salt Lake City completed” Salt Lake Tribune, The (UT), November 12, 2009. “Exchange Due for Change; Rebuilding Set for I-15, I-215 Links; Exchange Is Due For a Change.” Salt Lake Tribune, The (UT), October 2, 1996. “Freeway gets green light from the feds.” Salt Lake Tribune, The (UT), November 19, 2008. “Utah May Build Toll Expressway to Bypass Clogged I-15 New Highway May Help Drivers Bypass I-15.” Salt Lake Tribune, The (UT), July 17, 1996. “2100 South Freeway to Close June 16 to Year’s End.” Salt Lake Tribune, The (UT), June 8, 2000. Page updated June 29, 2016.